I can’t believe it’s the end of February already. Having started in the world of working full time this month I’ve been crazy busy and time has just flown by. February wasn’t really a month of trying out new products, but it was one for discovering a few old favourites, and a month of a routine with using some of the same products over and over. There’s a couple of products that I loved last month included again, but good to see my love for them is still going strong hey? I’m a lover of hair masks, I constantly have a bathroom full of them and find myself using them a couple of times a week. This is the first product I’ve used from Korres and I’m pretty impressed. It’s helped to keep my hair feeling nourished and soft, I think it’s going to become a firm favourite. This is one of those products I’m constantly repurchasing and can’t seem to live without. Aussie products just do this amazing thing to my hair and smell great. This has now run out and I think a Boots trip to buy some more is in need. I’ve had this exfoliator a while and it kind of got forgotten about for a while whilst I used other exfoliators but this month I rediscovered my love for it. 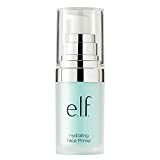 I always find the day after using this my skin is amazing and almost glowing. I got this in a goody bag at and event months ago and completely forgot about it. It wasn’t until I was going through my box of samples I rediscovered it and started using it. I find it gently exfoliates my skin and leaves it feeling soft and looking radiant. I think once my spending ban is over I might look into purchasing a full size of this. This was one of the products that was also mentioned last month, and I’ve found I’ve used this every single day this month, so of course it would be another favourite! The condition of my hair has amazingly improved with using this, and I can’t think about using another hair oil now I’ve tried this one. My lovely friend Simone introduced me to this foundation, and I’ve been a lover of it since. Lately I’ve found I’ve been wearing it almost every day. It gives me the perfect amount of coverage I need, without being too thick or heavy for everyday use. Another product that was also mentioned last month. I’m still wearing this on a daily basis and find that under my foundation it gives me a nice glow, and helps to keep my make up in place all day. I can’t go without wearing a powder in my daily make up routine, and lately my favourite has been this one. It comes in a handy compact making it great to take around in my handbag on the go.